The University of Rochester concluded The Meliora Challenge campaign on June 30, raising more than $1.368 billion, exceeding its initial $1.2 billion goal by more than $168 million. The preliminary numbers, released today, will be finalized once all gifts through the end of fiscal year 2016 are counted. The Meliora Challenge was the largest comprehensive fundraising campaign in the University’s history. Launched publicly in 2011, the Campaign exceeded the $1 billion mark in November 2013 and surpassed its initial goal of $1.2 billion in March 2015. 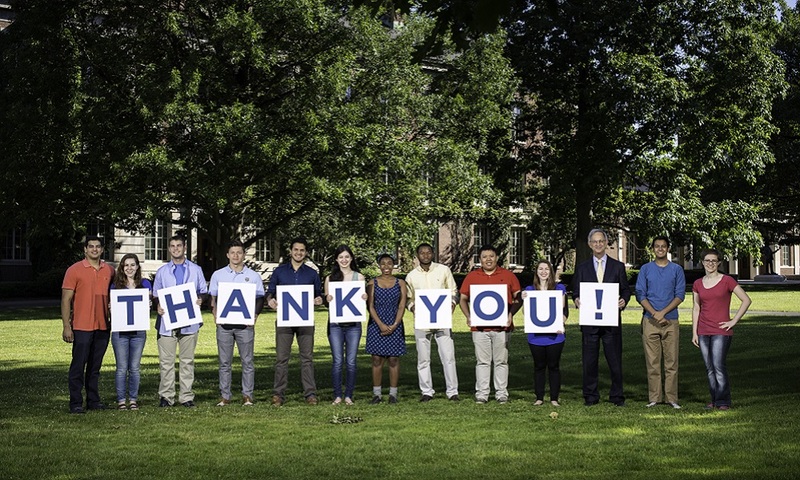 Nearly every goal established for the Campaign has been achieved—a testament to the commitment, loyalty, and generosity of more than 200,000 alumni, friends, faculty, staff, parents, and students around the world who donated to the University of Rochester during the time of the Campaign. The University of Rochester Medical Center, a community anchor and a major component of the Campaign, raised nearly $690 million for medical education, research, and patient care facilities. Memorial Art Gallery raised more than $35 million during the campaign to fund community-enriching projects like the Centennial Sculpture Park, new art installations, collection curation, and educational programs. The University will celebrate the success of The Meliora Challenge during this year’s Meliora Weekend, October 6–9. Along with reunions, homecoming, and family activities, several events are planned to thank the University community and commemorate Campaign achievements.